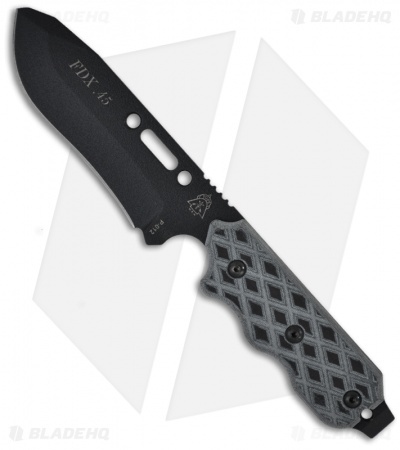 The TOPS Knives FDX 45 Field Duty Extreme fixed blade knife with black powder coat finish and diamond textured black and gray linen micarta scales is a rugged all-around tool, comfortable on a duty belt or in the back country. 1095 high carbon steel for a rugged tool with fantastic cutting performance. Tough electrostatically applied black epoxy finish. Pommel pry feature for added versatility. 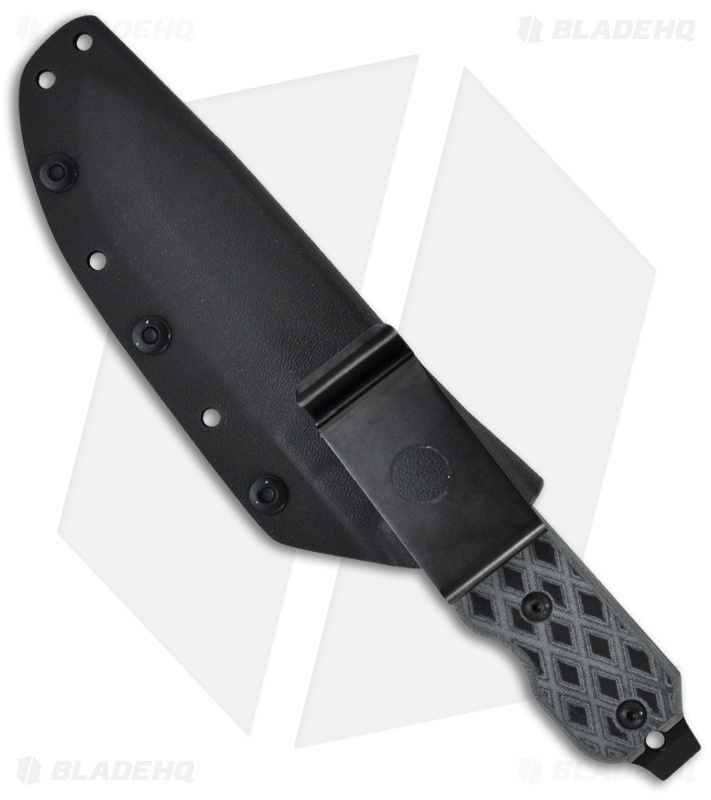 Black kydex sheath for a variety of carry options.